From as early as the ninth century, Mount Athos — a monastic re-public situated on a peninsula in northern Greece extending some 35 miles into the Aegean Sea — has been a monastic center and a spiritual beacon of the Orthodox world. 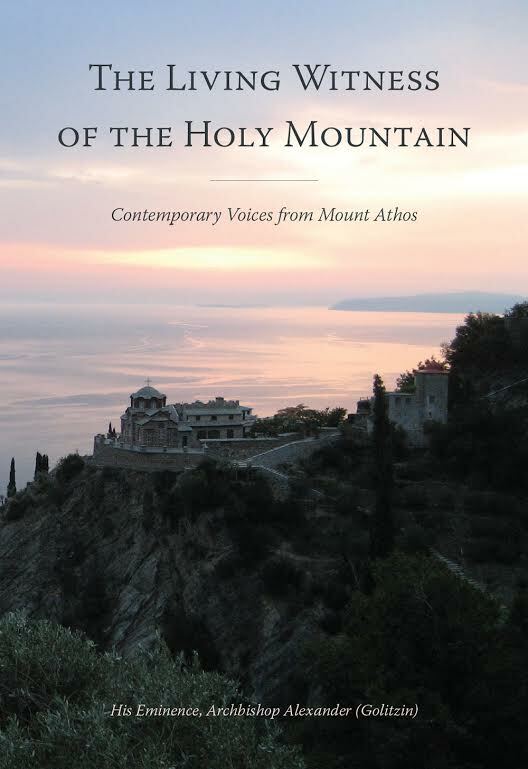 As the present collection of essays, sermons, narratives, and apophthegmata shows, the signiﬁcance of the work of the monks who come to Athos to devote themselves to God continues undiminished, as does the vitality of their contribution to the spiritual life of Orthodoxy worldwide. In these pages we see the simplicity and truth of the Gospel reﬂected in anecdotes of contemporary Fathers of the Holy Mountain; we read of the connection between the light of Christ’s Transﬁguration on Mount Tabor and Orthodox monastic spirituality; we learn how St. Herman of Alaska, America’s ﬁrst Orthodox saint, was a kind of gift to America from Athos. Several writings by Archimandrite Aemilianos (Vapheides), Abbot of Simonos Petras Monastery on Mount Athos, set forth the critical importance of the spiritual father and the Jesus prayer in an Orthodox monastery, and the link between monasticism and martyrdom. A leading French Catholic scholar recounts in detail his path to Orthodoxy over a span of many years. Also included is the Tomos of Mount Athos in Defense of the Holy Hesychasts — an important Orthodox doctrinal document, written in the fourteenth century by St. Gregory Palamas and signed by the elders of the Holy Mountain. These writings, together with the others in this volume, have all been written by Athonite monks. All but one of them appears in English for the ﬁrst time, translated by His Eminence, Archbishop Alexander (Golitzin), who contributes, in his illuminating Introduction, an examination of Athonite history, organization, and daily life.